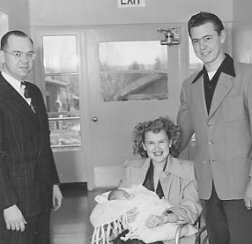 A local hospital in Harney County has been a community constant since 1920. 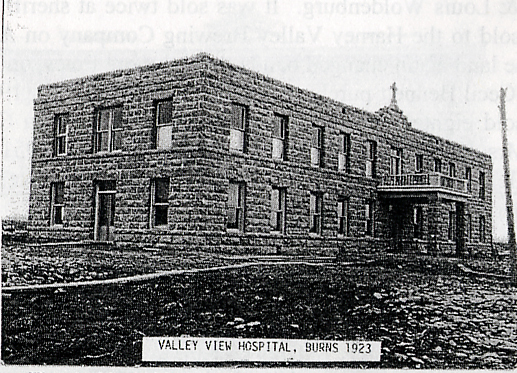 That year, the Valley View Hospital was constructed using native stone by the Catholic Sisters of St. Joseph from Tipton, Indiana. The hospital was sold to the Edward Hines Lumber Company in 1929 and then managed in 1937 by Dr. B. F. Smith under contract for medical care of the lumber company employees. Valley View Hospital served the community until 1947 when it was converted into apartments. 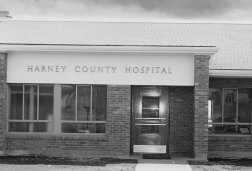 In 1950, the red-brick Harney County Hospital was completed at the corner of Washington and Egan streets in Burns to house the advances which had been made in medical care since Valley View’s construction. To offer the most up-to-date medical care available, expansions in 1964 and 1966 provided 20 additional beds and administrative offices. An ICU/CCU unit was added in 1970. By the late 1980s, many rural hospitals were in danger of closing their doors. After an 18-month education and public relations process made possible by a grant from Mountain States Health Corporation and matched by the Harney County Court, the Harney Community Health Care Council was formed in 1989. This council was instrumental in doctor recruitment and led the way in developing a hospital taxing district. In 1990, the community voted to separate the hospital from the county government and established the publicly-owned Harney County Health District and Harney District Hospital. As the year 2000 arrived, it was obvious that the community and medical advances were once again outpacing the capabilities of the current facility. The Health District Board and hospital administration began investigating ways to update the hospital to better support the way medicine was being practiced, including increased outpatient services, shorter inpatient stays and phenomenal growth in technology use. After extensive study and deliberation, it was determined a new facility would better serve the needs of the community at a greater savings than refurbishing the current facility. In February 2006, Skanska USA Building broke ground on the hospital construction project. For this small community, it was another opportunity to make history. Construction was completed in February 2008. In 2012, Harney County Health District acquired High Desert Medical Center, a seven-provider family medicine clinic located next to the hospital. 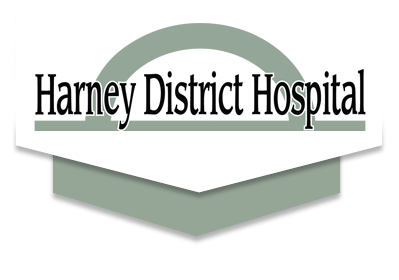 Harney District Hospital Family Care was established. A couple of years later, another addition expanded the scope of services offered by the district – Harney District Hospital Physical and Sports Therapy was acquired in 2014.